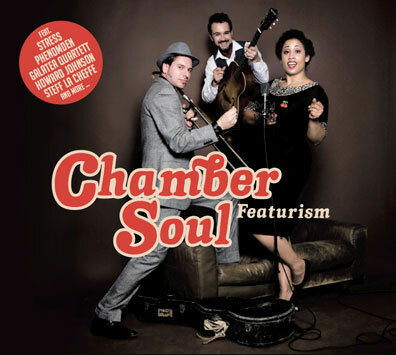 Release: 29.04.2011 Product: Audio CD/ Digipack Number of disc: 2 Label: Chamber Soul Music Musician: Brandy Butler - Gesang Roman Hosek - Gitarre Rene Mosele - Posaune Listen to the album ..
»Featurism« shows a new level of confidence and fluency in Chamber Soul's music, and knowing their own growing strengths has allowed them to absorb and return inspiration with an impressive cast of collaborators. The effusive pop soul tune »When I'm with You« features string arrangements by Larry Gold, whoas an arranger helped define the lush string sound of classic 70's hits for the Philadelphia International label. Gold's rock solid strings have continued to make their bold impression in music from Justin Timberlake, The Roots, and India Arie. »It's Alright« derives a portion of its Second Line New Orleans stomp from tuba player Howard Johnson, a music veteran whose credits stretch back to classic 1960s recordings with jazz legends Charles Mingus and Archie Shepp. Swiss rapper Steff la Cheffe drops in for a few verses in the melancholic »Shoen« and singer/songwriter John Francis duets with Ms,.Butler's languorously romantic »Ocean Eyes.« There's a touch of tango in »Keep Movin' On« and the rhythms of reggae inform »Denis« but Chamber Soul's fluid personality anchors their collaborators and styles to their well-grounded musical core. But that's just half of »Featurism's story. 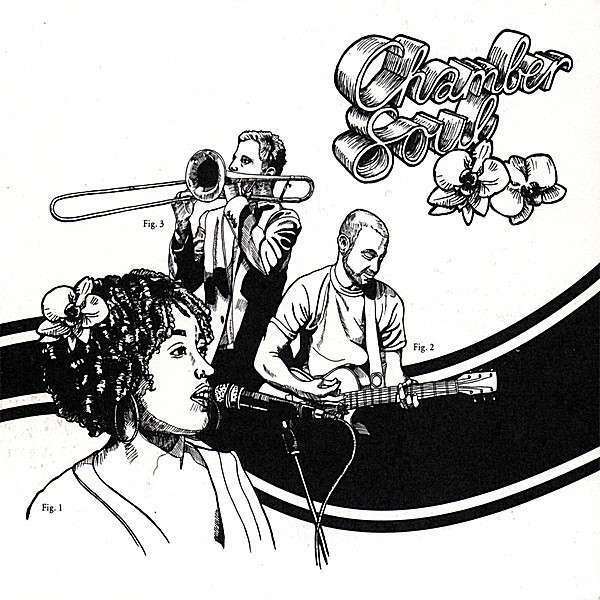 A second disc showcases their live set and joins them with The Galatea Quartet, the Zurich-based group who share Chamber Soul's exploratory spirit. Their playing adds a dramatic heft to the trio's exuberant live show, as the band rearranges tunes from their repertoire to take advantage of the string's broad emotional palette. This expansive sound mirrors the band impressive range, not just of genres but of moods, as their songs relate experiences euphoric, infuriating and peaceful. 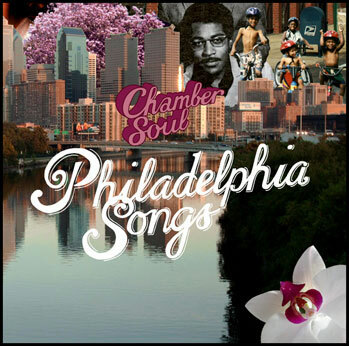 There are more moods and music to come, as Chamber Soul hatches its far-reaching platform of Featurism in clubs and on radios worldwide in 2011.